SEE YOUR CAR GET CLEANER OR WE’LL RETURN YOUR MONEY – Do you like to eat snacks and drink soda inside your car? Me too!! But letting the snack wrap and cola cans pile up on the legroom will only clutter and stain the car floor. Sunferno trash bin will help your car stay organized with minimal effort. 100% WATERPROOF BAG TO PREVENT STINKY CAR. NO OTHER BAG COMPARES – You don’t want a guest of yours saying “You have an amazing car, but why does car stink like a dead rat inside?”. That’s why our trash can has close able lid and sealed leak proof interior to prevent the stink getting out of the bag. ALL IN ONE-COOLER BAG, ORGANIZER BAG, LITTER BIN – This will be the last bag you’ll ever buy for your car. 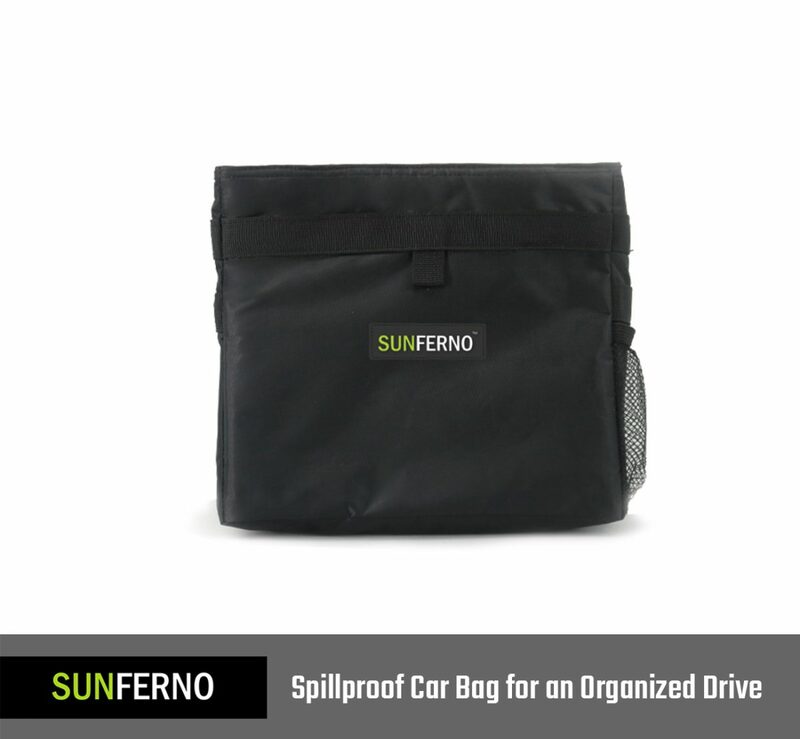 Whether you are going on a road trip and need a cooler bag or need an organizer bag for your car, Sunferno bag is prefect for all the situations. At Sunferno, we make sure that you are always happy with your purchase. The Car Trash Bag come with a 30 day money back guarantee from the day of purchase. The Trash bag comes with a Lifetime guarantee (The guarantee covers only manufacturing defects, doesn’t cover any damage caused due to misuse, please read the instructions on the box cover before using the product). We’ll make sure that you love your new car trash bag. For any queries please contact us at support@sunferno.com.